This beautiful maternity session was originally planned to be on the beach at Wynnum / Manly - however after some torrential rain and gale-force winds, our plans were changed at the last-minute and we decided on an intimate home lifestyle maternity session instead. And I'm so glad we did! 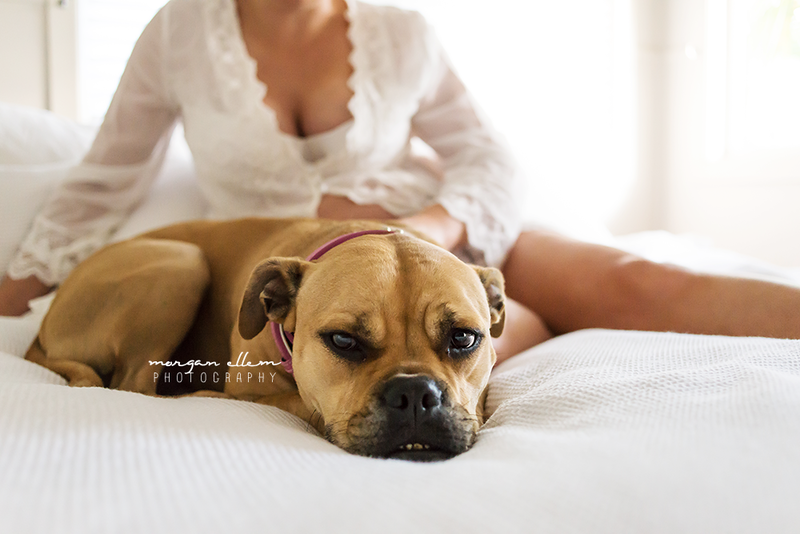 Even Kate and Jason's first baby, Narla the dog, starred in these beautiful images. I loved my cuddles with her; and that cute little underbite! Reminded my of my previous dog - so adorable. I can't wait to find out whether Kate is baking a baby boy or girl - Kate has girl vibes, whereas Jason is thinking boy. We will wait and see! Can't wait to meet the little beauty in a few weeks time.